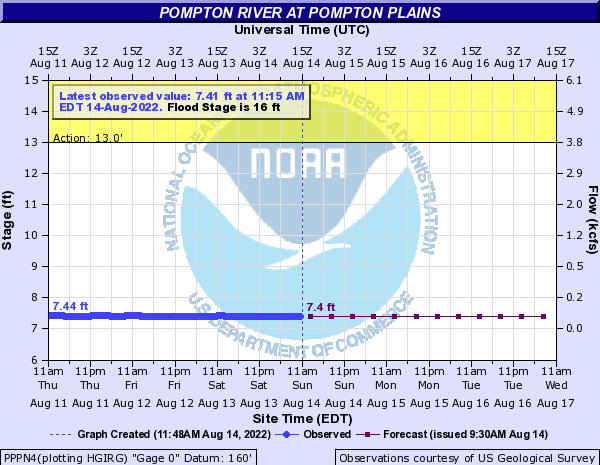 Two hydrographs, Passaic River at Little Falls and Pompton River at Pompton Plains, show river level changes over time that can effect and are together representative of potential impacts in Wayne New Jersey. Forecast hydrographs are displayed when flooding is expected, otherwise the hydrograph for the past few days may be provided. There is also a link to Tabular Data & NOAA.